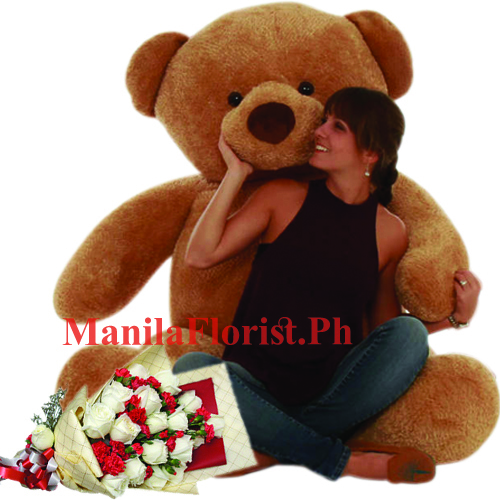 Dashing 12 White Roses Seasonal Flower Bouquet with 6 Feet Giant Teddy Bear. When you want to say the special words to the only one person you love, the wish deserves to be special. This big teddy carrying your message along white rose with bear. Now just imagine how great it will feel knowing you made someone so very happy.